Our homes are our sanctuaries. No two homes are ever alike, as they all reflect the unique personalities of their occupants. For some, redecorating the house based around a particular season or holiday can be a fun prospect. After all, there’s nothing quite like putting up some festive holiday decorations to lift your spirits! You may run into a few roadblocks when it comes to organizing and redecorating your home, though. Namely, your furniture. Ask anyone who’s moved from one house to another and they’ll tell you that moving furniture can be an absolute nightmare. Furniture is heavy, cumbersome, and typically designed to stay in one place. It’d be nice if moving furniture was exclusive to switching homes, but it can also come up during the holidays. For example, realizing a few days before Thanksgiving that your dining room table isn’t in the best spot to accommodate your entire family (perhaps due to a bit of clutter). 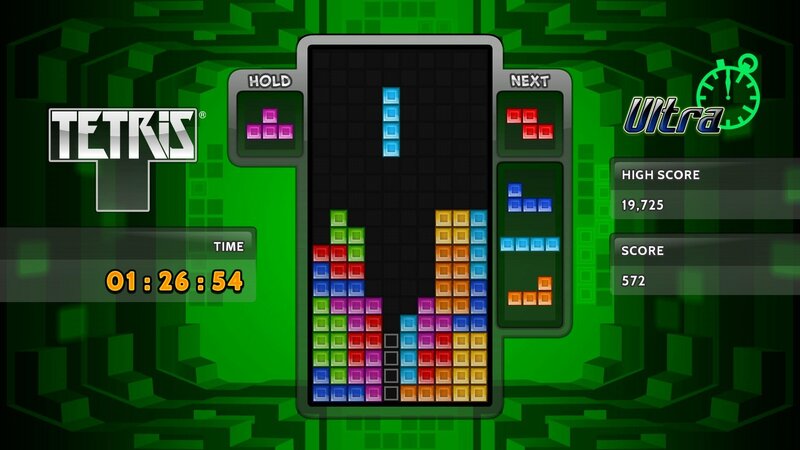 To make things easier, try approaching these situations using the skills you’ve learned in Tetris. Whether you’re moving into a new home, or are simply trying to improve the flow of your current home, Tetris feng shui is the perfect approach. Feng shui is the Chinese system of creating harmony in your environment. Meanwhile, one of the fundamentals of Tetris is organizing and clearing Tetriminos. In a similar fashion, your furniture acts as Tetriminos within your home’s Matrix. In the past, we’ve shown how Tetris skills can help when cleaning up areas like your backyard or straightening up your pantry. In Tetris, we know that each Tetrimino has its own method of placement based around your current stack and the other Tetriminos on the Matrix. Furthermore, each room in your house is like its own self-sustaining Matrix as there are Tetriminos that can be exclusive to those rooms. For example, the refrigerator in your kitchen, the couch in your living room, and the bed in your bedroom. While placing small, decorative items is the easiest part of Tetris feng shui, you should try and approach your biggest problems first. During Thanksgiving, you need to set up your dining room (and your kitchen) to fit large amounts of people and countless platters of food. So, ask yourself how these rooms flow. What is the best spot for the dining table that will allow everyone to get up and down from their seats comfortably? Are your kitchen countertops large or small? What items can you temporarily put away to open up a bit more space? Each situation is like its own unique game of Tetris. The food you serve, the room you make for guests, it all connects to your favorite puzzle game. By viewing these situations (which can become stressful) like a game of Tetris, you’ll be able to keep your cool and arrange things in the best possible manner. Need to make space for your Christmas tree? Walk through your living room (if that’s where you intend to put it) and feel out your living room Matrix. What is the build of your current Tetris stack in relation to the queued Tetrimino, your Christmas tree? With these thoughts in mind, you’ll be able to clear lines (and furniture) with ease. Then, once all your complex Tetris feng shui problems are out of the way, you have more time to enjoy placing your decorative Tetriminos. While the holiday season can certainly be stressful, transforming chores into a Tetris game can help improve the flow of both your home, and you! Need to get a little Tetris practice in before straightening up your dining room? Click here to play Tetris for free right here at Tetris.com!